I believe this is from the 1999 San Antonio Stars and Bars dinner. The Company Grade Officer's Council put it on, inviting local general officers to come sit with "bars" and hopefully impart wisdom. We were all on the planning committee. There were "boys" on the planning committee also, but in short order and with maybe a little bit of bossiness, we "gals" ended up taking charge. Now in 2015, all but one in this group is retired (one is still on active duty). And that's part of what makes me really happy. Everyone "made" it and completed the mission. 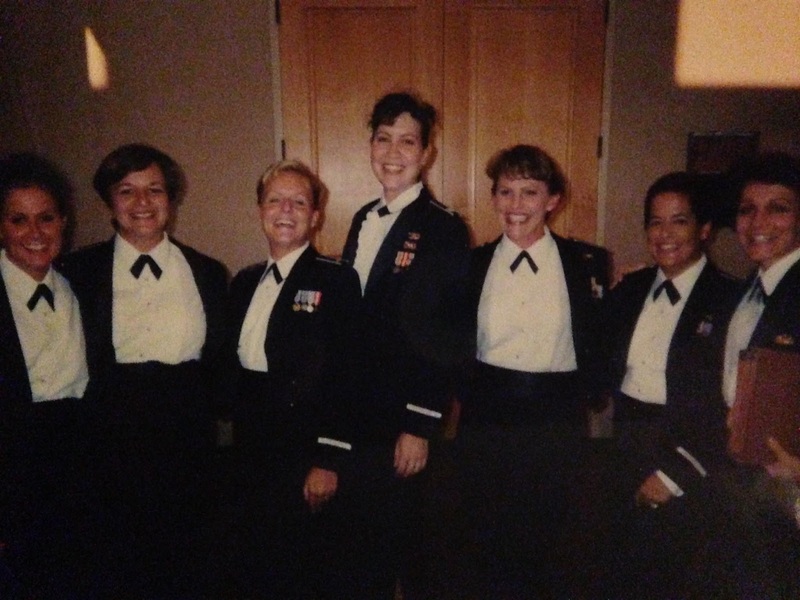 We were all different career fields, some were prior enlisted, some were USAFA grads, others ROTC. There are Colonels, Squadron Commanders and a Group Commander in this group, there are moms and wives, and more than one has endured a personal challenge that could have easily derailed their lives, let alone their careers. This group has grown. We met pretty regularly after this event and added many to our group, which has now spread across the world chasing assignments. And this group represents a tiny percentage of the amazing people I got to serve with.